Wyoming’s Wind River Country is home to the seventh largest Indian reservation in the country. Encompassing more than 2.2 million acres, the Wind River Indian Reservation is home to the Eastern Shoshone and the Northern Arapaho tribes. Visitors to the area can go to powwows and museums to learn more about the local culture, or can recreate on thousands of acres of vast, unspoiled reservation lands (with a special permit). Fort Washakie is the oldest community on the reservation. Originally called Fort Brown, the name was changed in 1878 to honor Chief Washakie, who negotiated the treaty establishing the reservation. The legendary Buffalo Soldiers-the name given to U.S. Cavalrymen of African descent-were stationed at Fort Washakie in the late 1800s. Today many of the original military buildings can be seen in the Fort Washakie Historic District. Fort Washakie is home to the Shoshone Tribal Cultural Center and the cemeteries where both Chief Washakie and Lewis and Clark’s Shoshone guide, Sacajawea, are buried. You will also find a number of trading posts and gift stores that specialize in locally made Indian artwork, including hand-tanned leather goods, beadwork, and drums. Learn more about the Eastern Shoshone people here. Ethete and St. Stephens are the centers of Arapaho culture on the reservation. The Heritage Center at St. Stephens and the Arapaho Cultural Museum in Ethete both provide insight into the tribe and its traditions. You can also buy local Native American crafts and beadwork at the St. Stephens Art Center. Learn more about the Northern Arapaho people here. Open to the public, these gatherings occur throughout the summer. Powwows are dance contests and celebrations. 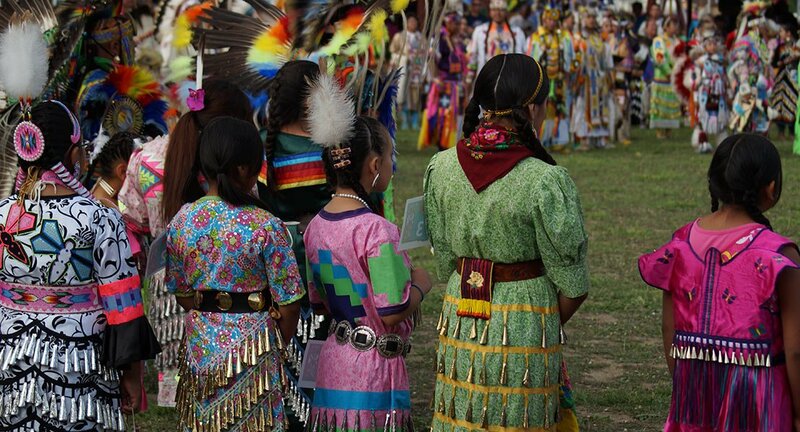 Tribal members go to meet friends, dance, catch up on the news and honor the past. 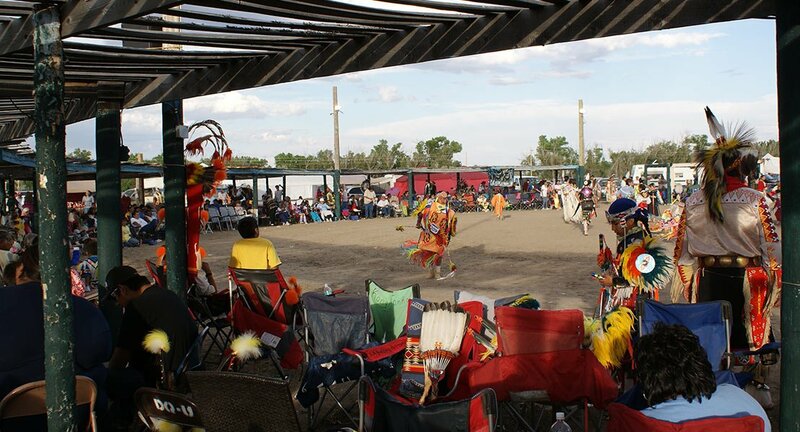 Each of the reservation communities host powwows. Explore the Wind River Reservation on this driving tour.